In a world filled with irritations and inconveniences, a leaky tap is definitely on upper half of that list. One of the first things we tend to do when we notice this little irritation, we try to turn the leaky tap off even tighter than it can turn, only worsening the plumbing problem in the process. 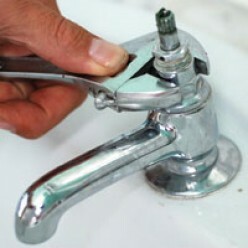 Here is a step by step to fixing a leaky tap. Turn of your water supply. Close to the leaky tap, there should be a turn-off supply faucet, but if your residence does not have one, you will have to turn off the main supply, cutting the entire water supply to your home. 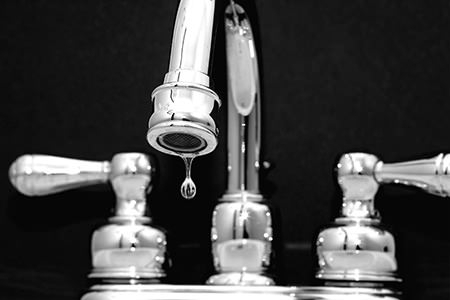 If you live in an apartment or townhouse complex, the main tap may be inside. Before you start working, turn open a tap to check if the water supply has been stopped. 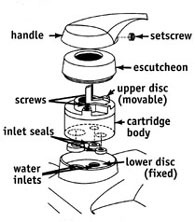 Taps have three types of washers. Large-body washer, a tap washer which should be loose in the spindle and the O-RING on the spindle. A handy tip is to put the plug in the basin before you start unscrewing to prevent small screws falling down the drain while working. Find the rubber washer inside the leaky tap. Use a screwdriver and remove the one screw holding it in place. Simply take out the old washer and replace it with the new one. Place the screw back into position and tighten the screw. Turn the main water supply tap open and test. Take note that the newer model taps with deco handles have a small plastic insert in the top of the handle. Remove this with a small screwdriver and undo the screw in the top. It is a good idea to also replace O-RINGS with new ones when replacing the regular washer. If this is not something you want to attempt yourself, we are available 24 hours a day on our plumbing line.